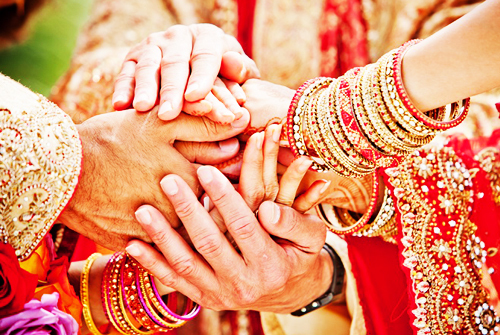 The Engagement ceremony forms the key to a marriage and the most important pre wedding ritual. This is done to establish a confirmation between the two families about the marriage. In many parts of India it is also known as ‘Wagdaan’ and ‘Janam Patrika’ ritual. In the ancient times engagement was conducted to announce the good news to the society. 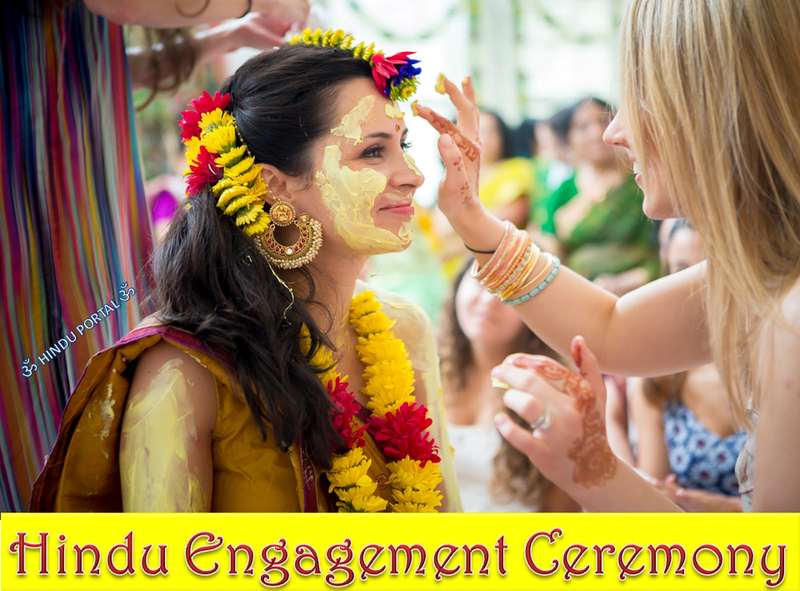 Many have this misconception that engagement is not a part of traditional Indian ritual and has come from the West but that is not true. This ritual does exist in almost every culture of Hinduism but is known by different other names. They are mangni, aashirwad and misri. After the two families decide the marriage of the girl and the boy, they tend to confirm it and book each other by performing this ritual. After the groom’s father gets permission from the bride’s father to go forward with the wedding, they plan the engagement where rings are exchanged and the “Wagdaan” ritual is performed. The couple also participates in “Lagna Patrika,” which is a written vow to each other that the wedding will take place at a later date. 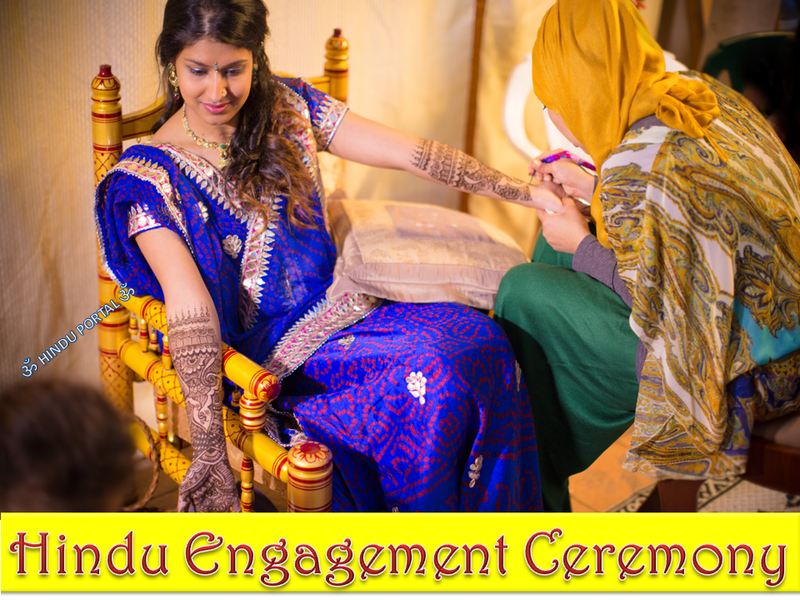 Below mentioned are the step by step procedure of engagement vidhi. The Groom and the Bride’s family gather at one place. Request by the Groom’s father for the bride’s hand for his son followed by the approval of the bride’s father. The appropriate Muhurtam for the marriage is then confirmed by the bride and her father. The mother of the Groom offer Sari and jewellery to the bride and the father of the bride offers clothes and jewellery to the groom. Ganesh Puja and Varun puja are also performed. Bride and the Groom exchange the rings to confirm each other for their future. Formal engagement Announcement followed by Ashirvada and congratulations. 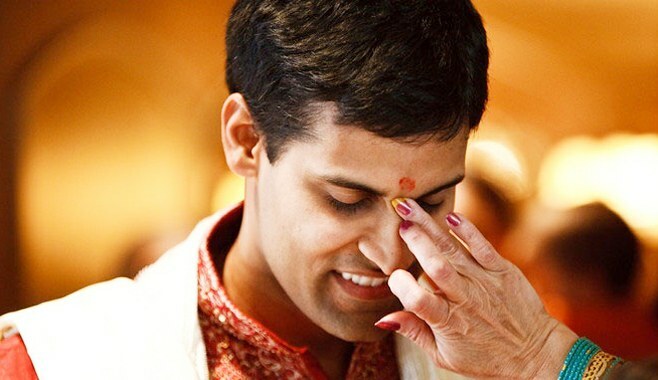 Before the bride and the groom get involved in the ring ceremony, Graha Shanti is performed. This ceremony begins with “Haladi,” a purification ritual that involves massaging the bride and groom with fragrant oils and halad. 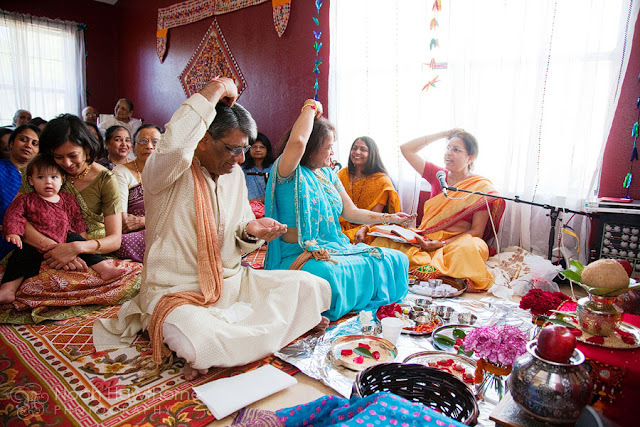 Next is the “Muhurtamedha” a ritual in which the upcoming wedding day is formally declared, and “Sankalpa,” which involves praying for blessings. These ceremonies vary from region to region. In Gujarati tradition, the engagement ceremony is known as sagaai or Goal Dhanna. This means Coriander Seeds and Jaggery. Both these ingredients are distributed at a Gujarathi Engagement. For the engagement, the bride-to-be and her family visits the groom-to-be’s house with a ‘matli’, or steel container filled with gifts and sweets for the groom as well his family. The couple exchange rings and seek the blessing of 5 married women from both their families. This symbolizes the coming together of both families. In North Indian weddings Tilak also forms a major ritual in the engagement ceremony. The auspicious vermilion paste and rice is put on the groom by the bride’s brother. Then the exchange of baskets of fruits, dry fruits and sweets takes place between both the families. The Groom’s family also come with clothes and jewelry for the Bride. This is quite different from the normal engagement ceremonies. The best part is that the presence of the bride and the groom is also not necessary in it. The engagement ceremony in South India is more like a commitment between both the families of the would-be bride and groom. 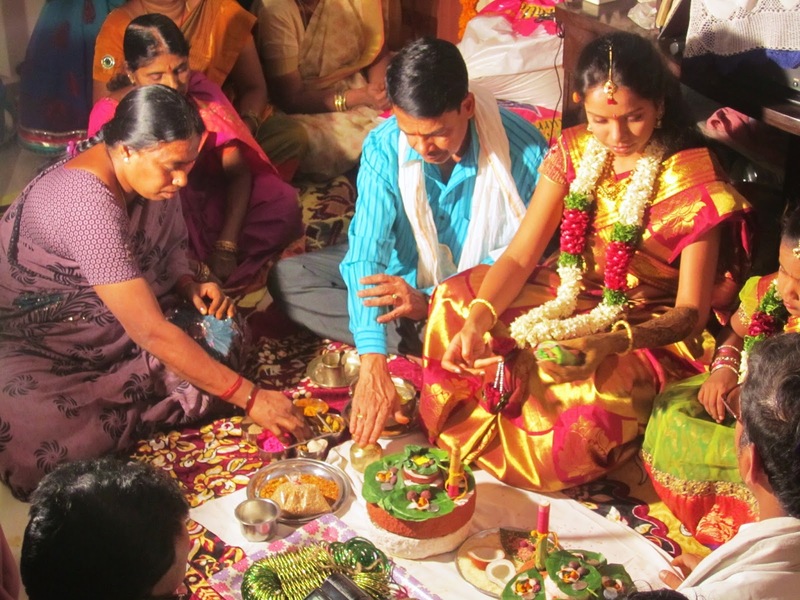 The most important ritual in the south Indian engagement function is the exchange of an engagement plate which is known as ‘Tattu’, which consists of coconut, flowers, turmeric, beetle nuts and beetle leaves. The same stands for Eastern Indian states as well. They also exchange vermilion, red bangles and clothes. 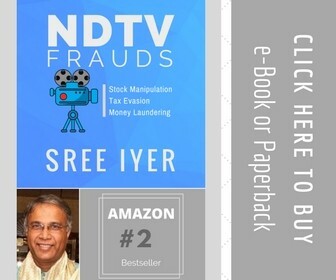 It is known as ‘Nirvandha’. Hindu tradition Marriage is very important decision in any bride or groom’s life. Most importantly everyone wants that they find their partner of their community and profession. Yes its our ancient Tradition.